Most of us who enjoy clanging steel targets have had the opportunity to shoot what are commonly referred to as gong targets. Ringing and swinging the steel plate is great fun and the audio and visual feedback is immensely gratifying. There are a wide variety of gong targets available for purchase and some people choose to fabricate their own. There are, however some inherent problems with this design that Challenge Targets was determined to overcome. 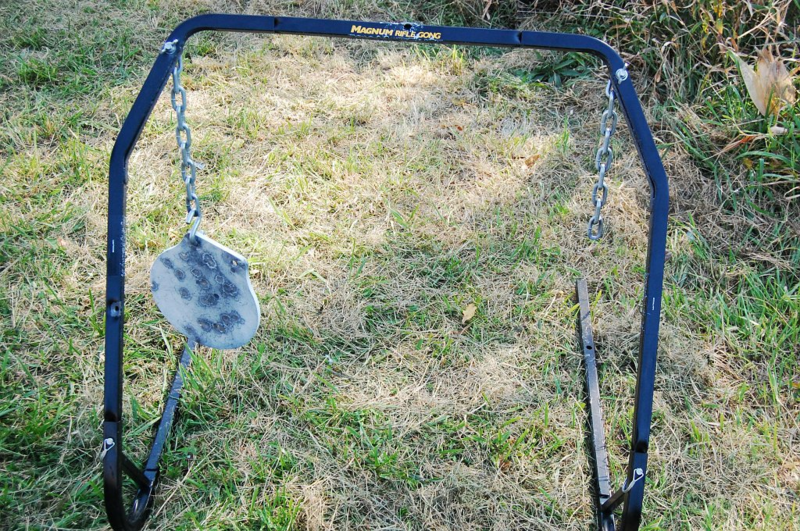 A traditional gong target or flash target includes a frame, a cross support bar, and two chains to suspend the plate. Some designs are very heavy and other lighter weight models require ground stakes to secure the target. The support frame and chains are vulnerable to being hit by errant shots. Transportation and set-up can be cumbersome and you’ll need to select a location that’s relatively flat for stability. Challenge Targets solves these issues with introduction of our new Stake-N-Shoot Targets. We eliminated the legs, crossbar and chains so all the mild steel components are fully protected behind the AR500 target plate. 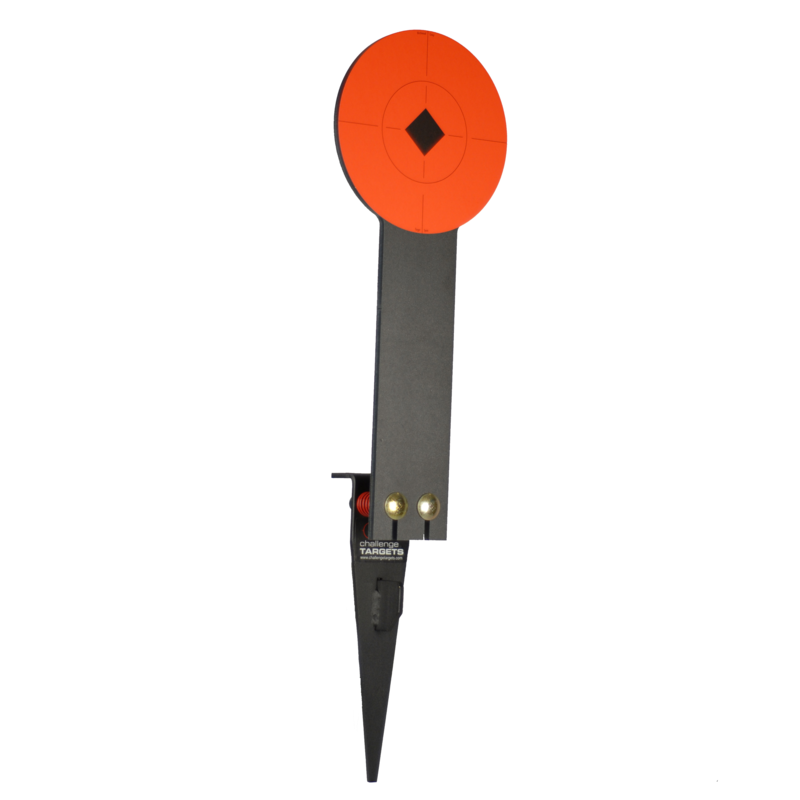 The steel target is secured to a 12″ long ground stake using hardened carriage bolts and industrial grade compression springs. 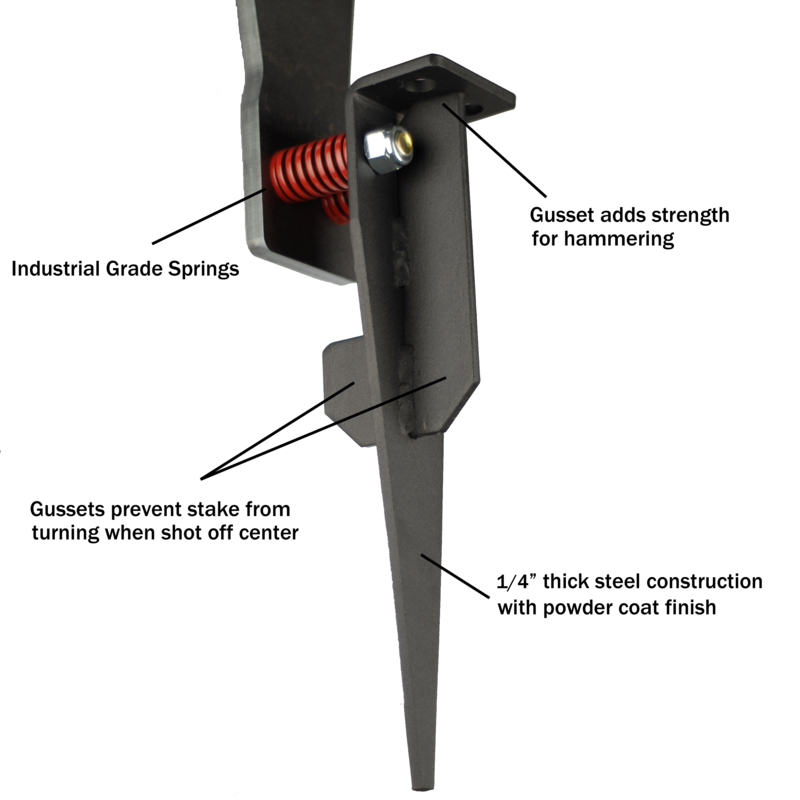 The 1/4″ thick steel ground stake includes flanges and stiffening ribs so it can be pounded into almost any terrain. The compression springs prevent the ground from dampening the ring of the steel and allow the target plate to move when shot. The end result is a near indestructible rifle target that weighs less than 15lbs, set-up in seconds, and provides satisfying feedback with each good shot.